I decided to start wearing eyeshadows that I never wear, because I realized I was stuck on 5-10 neutrals. I took out all my palettes from their drawer to pick them out...... and that led to this post. These are all the eyeshadow palettes I have with me here. 6 of them I took from India, the rest I got from UK. Stila In The Garden Palette ~ Brand New. Never Used. Urban Decay Naked Basics Palette ~ Swatches here. Inglot 4 Square Freedom System Eyeshadow Palette ~ Swatches here. Inglot Candy Inspired Palette ~ Swatches here. MUA Poptastic Palette ~ I have swatched this palette last year, but never posted pics. 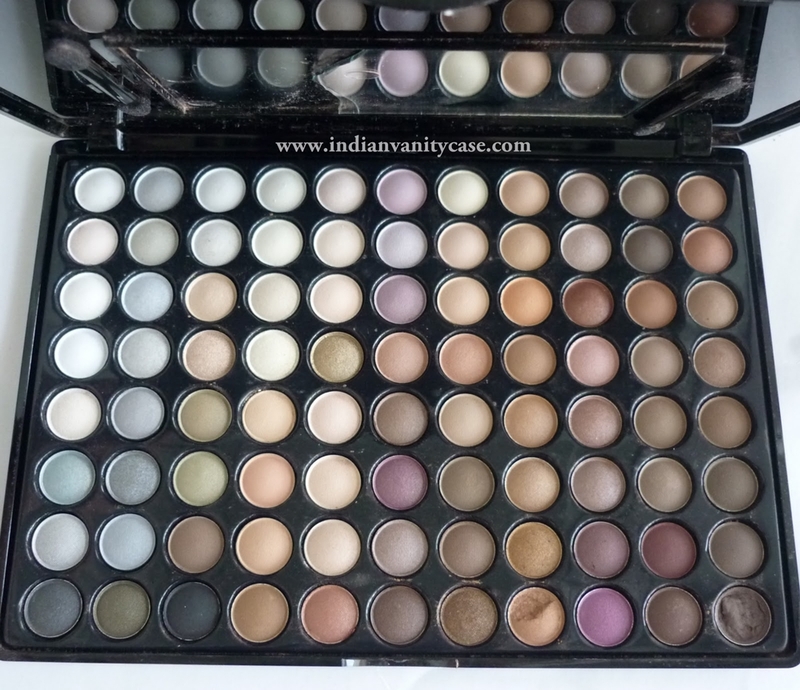 Sleek Makeup Oh So Special i-Divine Palette~ Swatches here. Inglot 10 Square Freedom System Eyeshadow Palette ~ Don't hate me for placing it upside down. It's also still brand new & unused. Photos coming soon, promise. I'm dying to use it! Uh-oh, odd number! Must must even it asap. 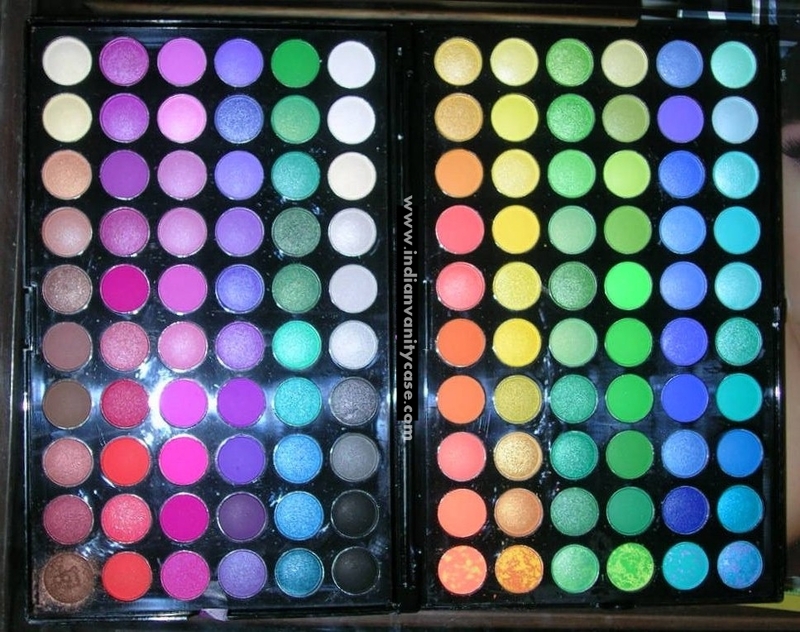 I find these palettes very useful. Sometimes I wish I had them with me, especially when I need a specific color that's not in any of my palettes, and I don't want to buy singles. You'll find them on Ebay, KK Center HK, BH Cosmetics. Back when I got them, they used to cost under Rs.1000. Like the fact you have some of the sleek eyeshadows. I'm starting to experiment more with colours now as well. Really want the candy Sleek palette, it looks so gorgeous and perfect for summer! And Sleek do such good quality eyeshadows. I'd love an Inglot palette too!